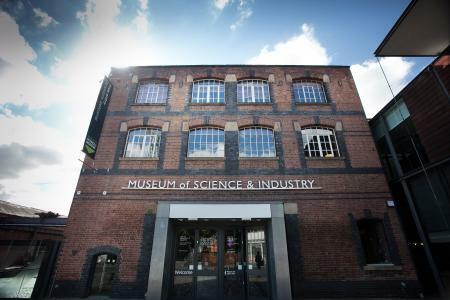 Be awed by past and future science and technology in Manchester with a trip to one of the UK's most atmospheric museums, on the site of the oldest surviving passenger railway station and in the heart of the world’s first industrial city. 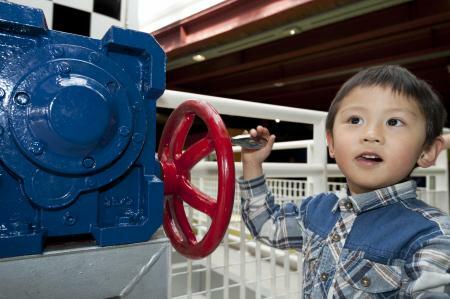 We highlight what the Museum of Science and Industry has to offer parents, children and families. 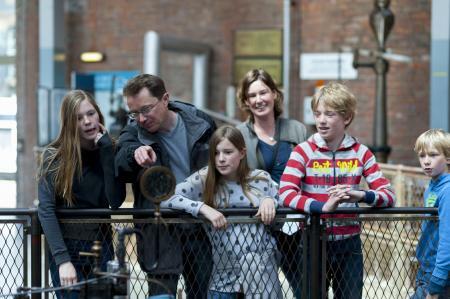 Elena Dalrymple visited Manchester's Museum of Science and Industry with her family, including Kate, 14, Tom, 11 and Emily, 7. Every part of the Museum of Science and Industry's enormous heritage site is buzzing: with people, with exhibits and with ideas. 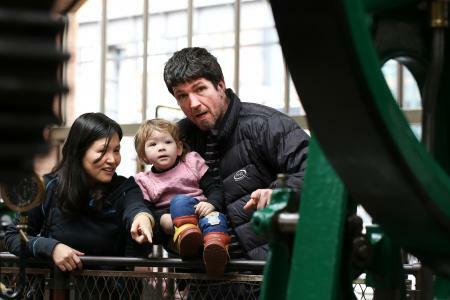 Whether you visit to find out more about the city's industrial past by watching demonstrations of steam engines and textiles machinery or want to offer the kids some hands-on puzzling time in the Experiment! gallery, there's loads to see and do – and entry is free. The tiniest visitors can let off some steam in the My Den sensory play area (for ages 4 and under), but the museum highlight for any engine-mad youngsters are the Air and Space and Power Halls, packed with huge, imposing locomotives (the Museum has one of the largest collections of working steam engines in the world) and the cars, bikes and aeroplanes that changed transport forever in the 20th century. If you're visiting on a weekday outside of school holidays, don't forget to borrow an activity pack for your visit: from blanket bags for babies to power packs for toddlers, all ages are catered for. The interactive Experiment! gallery is the museum's main attraction for kids – and it's fantastic. Show your child how gears give them superhero powers, allowing them to lift a Mini, see if they can shake hands with themselves, find out how to create a tornado, light up a city with waste and watch your own skeleton ride a bicycle. There are 25 hands-on exhibits suitable for all ages; we especially loved the Puzzle Desk of maths and geometry puzzles (definitely puzzling!) and the soft play area stocked with bright blocks for budding builders, engineers and architects to stack, climb and topple. The Textiles Gallery offers a glimpse into our country's industrial past, the days when 'Cottonopolis' Manchester was the centre of the cotton industry, processing a third of the cotton produced worldwide. Daily demonstrations allow you to see the original 19th century machinery spin yarn into cloth (and imagine the life of the young children working in the mills, employed because they were small enough at 4 or 5 to run underneath the huge machinery). You can also get hands-on with different materials, understand more about knitting and braiding and weaving by replicating the processes with ropes and join a workshop to make your very own piece of cloth. Make sure you seek out the awe-inspiring Thistledown Coat by Adrian Bannon, on display in the gallery – dandelion seeds are held together with fine filaments to create a jacket that, amazingly, could actually be worn! The virtual reality experiences at the museum are an affordable treat to add to your day out: Space Descent with Tim Peake puts you in the pilot's seat of a Soyuz capsule (ages 13+ only), or "step into the cockpit" of a Red Arrows aircraft and see the whirling sky and feel the adrenaline rush of acrobatic flight in the Red Arrows Flight Simulator. From £3 per person. Sights, sounds and smells of the Industrial Revolution are brought into the present day in the regular demonstrations and shows (on every day). 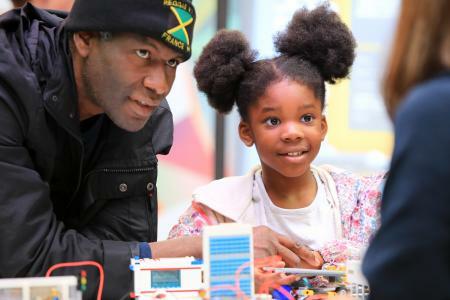 At weekends and during school holidays there are also science shows, workshops and craft sessions, all free (check the website for details), with everything from retro computer gaming and slime making to light experiments and circus skills on offer. The Warehouse Café serves hot drinks, light meals and Kids’ Bite Bags (five items for £4.50). The Bistro offers more substantial lunches including kids’ meal offers from £7. If you'd rather bring your own food, a free picnic area is available in the Air and Space Hall, plus extra seating in the main building during school holidays and at weekends. The Museum of Science and Industry is in Liverpool Road, Manchester M3 4FP. It is easily accessible from the city centre, walking distance from public transport stops. Car parking is available at a reduced rate at the Park Avenue RCP car park. Opening hours are 10am-5pm and entry to the museum is free. Every manner of science toy and gadget is available in the Museum shop, with prices starting at £2.50; we loved the £5 Hoberman spheres and the Museum Sticker and Activity Book, also £5. See the objects that tell the story of Manchester's scientific past, present and future online, from aeroplanes to trophies and printers' blocks. The Museum's galleries and exhibits are complementary to primary science lessons and KS2 history.